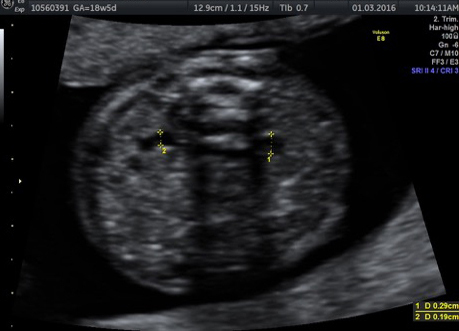 Role of appropriate NT (nuchal translucency) measurement in aneuploidy screening is well established. Deviation of standard deviation and median NT from that expected, reduces the detection rates and hence continuous auditing of NT measurements is essential for quality assurance (Kagan et al. 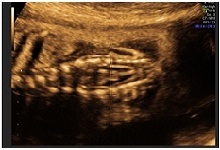 Ultrasound Obstet Gynecol 2009; 33: 657 – 664). Submit their results for auditing to an external agency like UKNEQUAS for quality assurance. 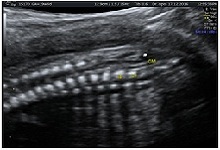 Deviation from expected MoMs will reduce the detection rates for condition being screened and the efficacy of the test. 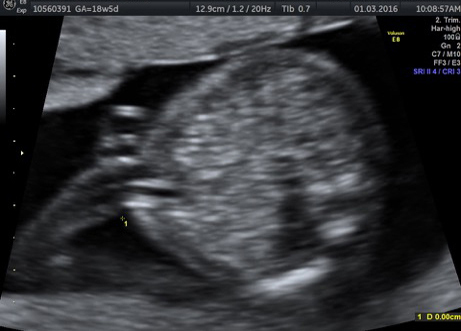 Everyone who is offering first trimester screening tests should understand the nuances of the tests being offered and ensure strict adherence to the quality of the tests being done. 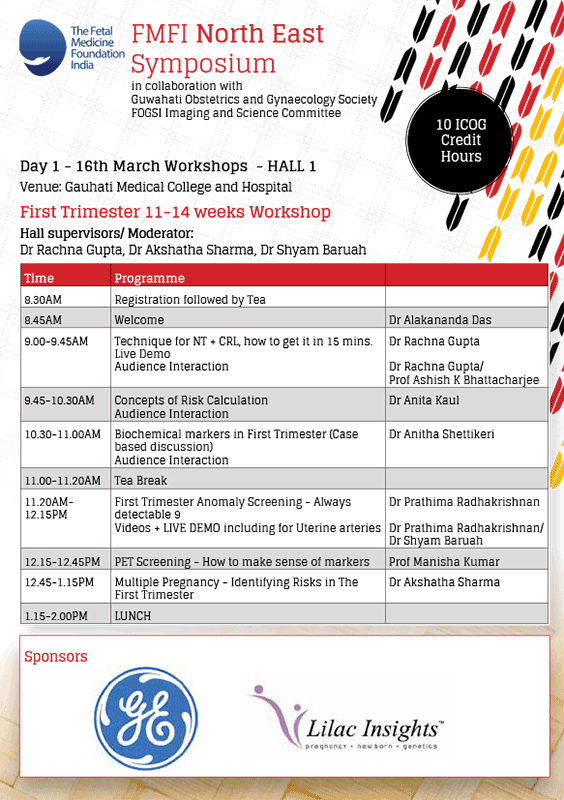 As an obstetrician, one should ensure NT is measured by FMF certified operator who uses the FMF risk calculation software and biochemical tests are done by laboratories fulfilling the above criteria. 9:00 am – 9:45 am Technique for NT + CRL, how to get it in 15 mins. 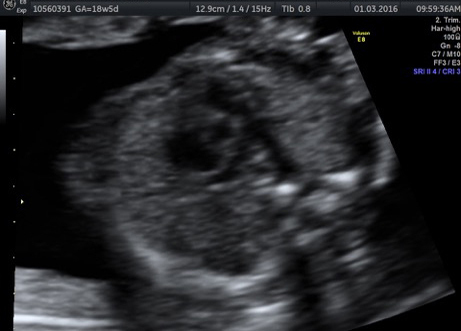 Please Note : The practical examination(max 30 candidates for practicals on 17th May 2019) will be held for those who have already submitted the log book of images to FMF – UK and images have been approved(please contact us or visit www.fetalmedicine.org/fmf-certification/certificates-of-competence/fetal-abnormalities-1 or Click Here for details on submission of images). The theory course will be held on 16th March 2019. I. Registration with PNDT appropriate authority (South East District, Saket, Delhi) at least 30 days in advance of the date of practical examination (17th May 2019). Ques 1. Who all are eligible for theory? Ques 2. Who are eligible to appear for practical examination on 17th May 2019? 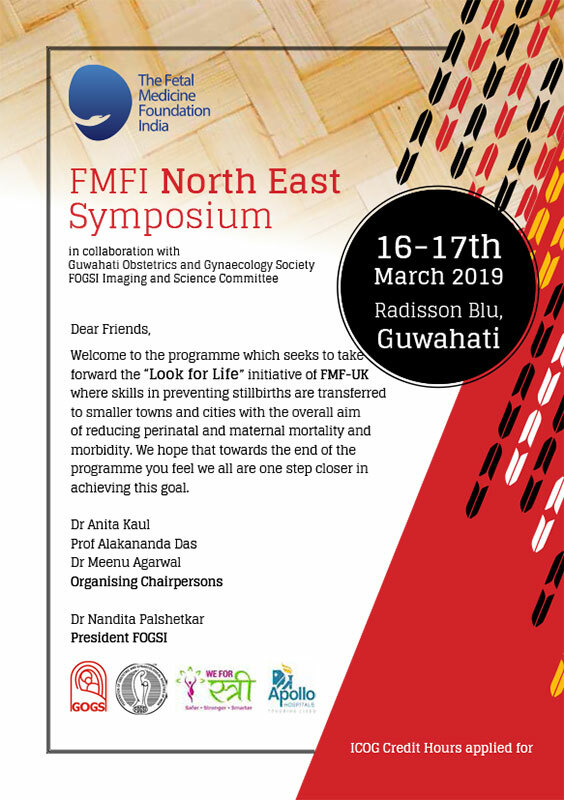 Doctors whose images have been approved by FMF-UK before 31th April, 2019 and provided the requisite documents and affidavit for PCPNDT registration are sent beforehand to Apollo Centre for Fetal Medicine by 17th April 2019. Ques 3. Is it a must to get registered with Delhi Medical Council? Ques 4. What if my images are not approved before practical examination? If your images are approved after 17th May 2019. by FMF-UK, you can appear for practical examination on the next scheduled date which will be announced later. Ques 5. Will there be repeat theory course in year 2019? Ques 6. Will there be repeat theory course/ practical in the year 2020 or later? All those finalized for the practical exam (subject to PCPNDT approval) will be informed about their schedule for the practical exam by 30th April,2019. 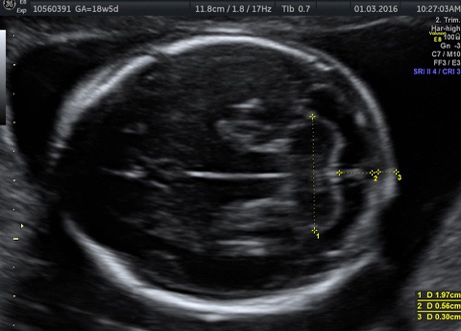 Specialist in Fetal Medicine and Fetal Neuroimaging, Senior Consultant at the Fetal Neurology Clinic (Wolfson Medical Center) and at the ObGyn US Unit at Tel Aviv Medical Center, Israel. Researcher and Lecturer affiliated to the Tel Aviv University. 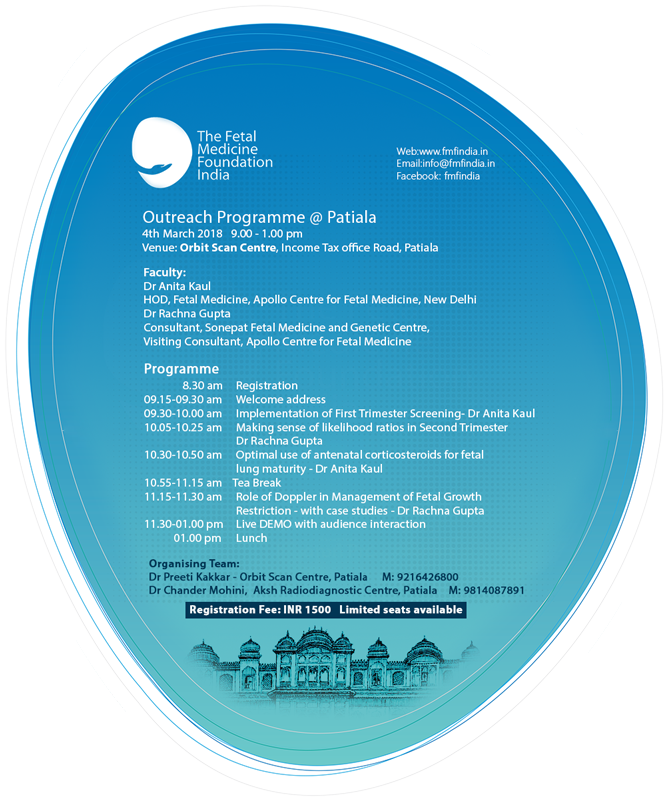 Faculty Member of the Fetal Neurology Masterclass Israel. 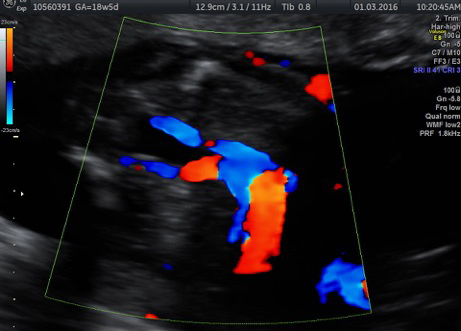 A unique 2-day intensive learning experience on Fetal Neurosonography focused on the exam technique and definition of normal imaging patterns: Hands-on training, dedicated time with expert, state-of-the art lectures, 3D practice with real-case volumes. 12:00 The brain vasculature and congenital vascular malformations. Registration closed for Hands On Practical. You can still register for theory course. 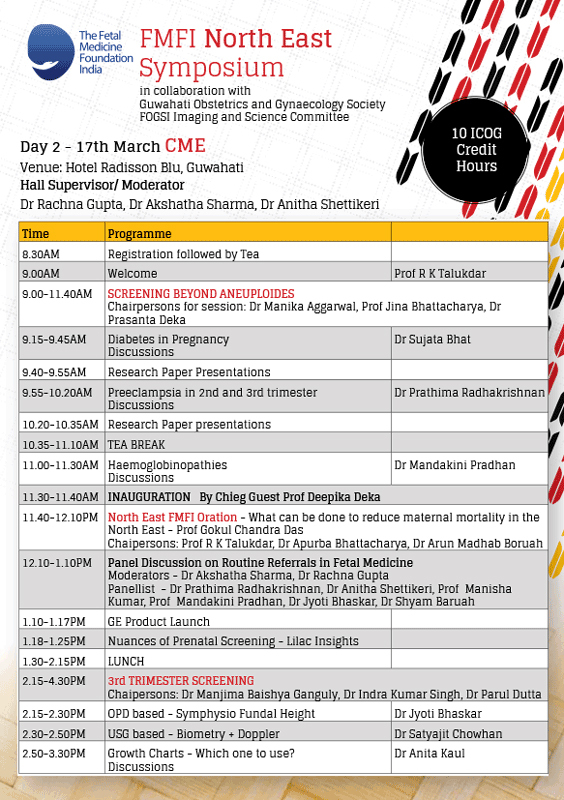 *Delegates appearing for practical session need to submit documents of their degree, med council reg and affidavit. The above candidates are eligible provided they bring the proof (hard copy) of their FMF UK approval of images and subject to payment of the fees as mentioned in the brochure. Each candidate is expected to assemble at Gate no 7, Apollo Centre for Fetal Medicine atleast 45 mins prior to their scheduled time of the exam. 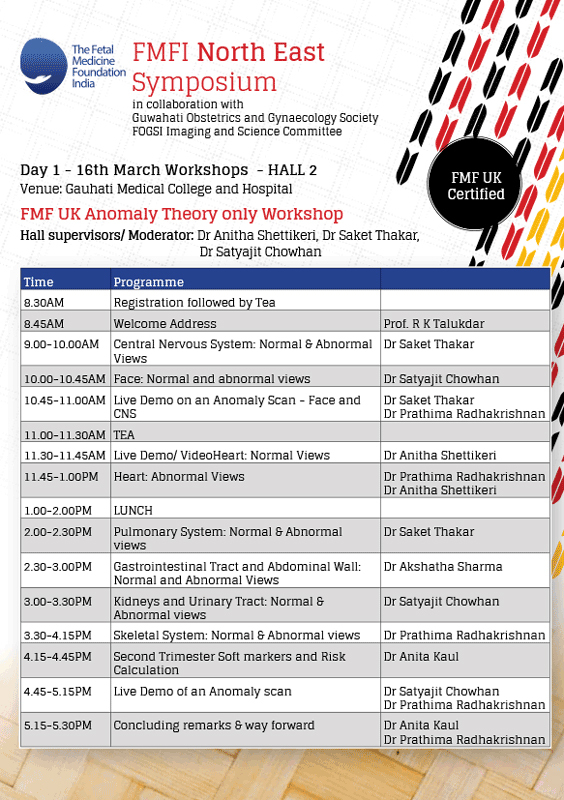 Each candidate will be allotted 30 mins per patient to show the standard FMF views to the examiner. An MCQ test will be conducted post the practical exam. Kindly note that candidates will have to arrange for their own lunch on the day of the practical exams (Options available at Apollo Food Court). Referred to ACFM with diastometomelia in an anomaly scan done elsewhere. 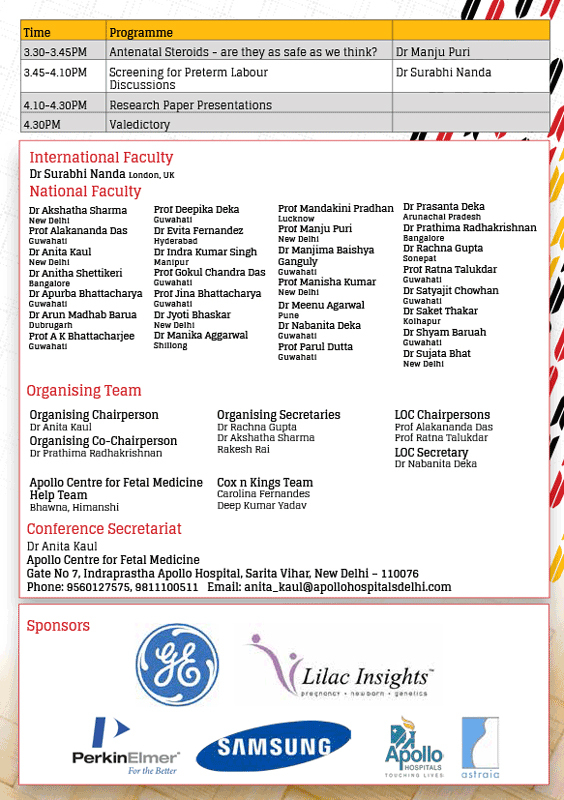 One such case was a Primi 18+6 Mrs X who was referred to Apollo Centre for Fetal Fedicine, New Delhi. 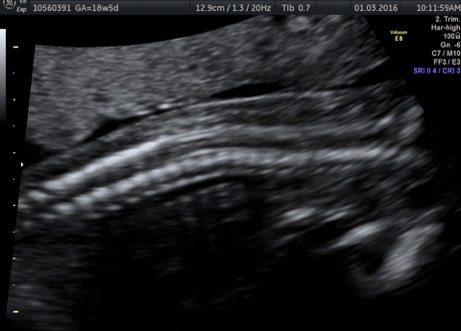 The anomaly scan at ACFM confirmed the diagnosis of Split cord malformation. 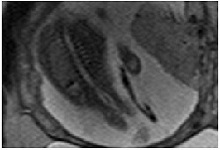 Divarication of the fetal spine was seen at the thoracolumbar level(below T 12). Figure 1b. There did not appear to be any mass lesion and the overlying skin was intact. 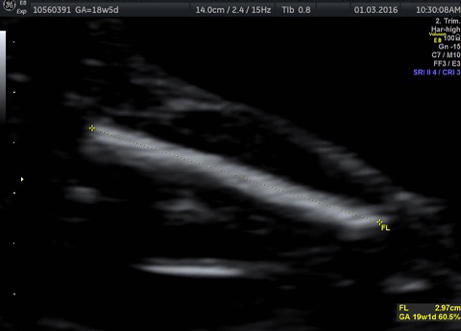 However, the spinal cord appeared tethered, the conus medularis ending at L5 S1 level. Figure 1c. Both the lower limbs were seen to be moving well. 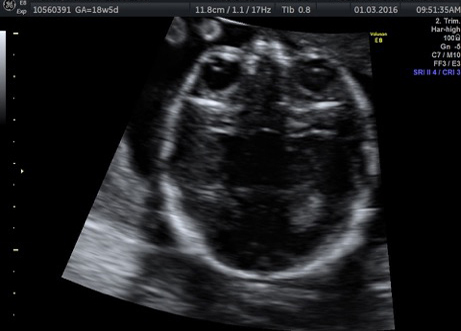 Fetal brain appeared normal. 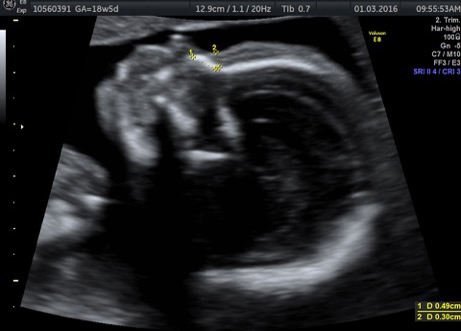 Fetal growth and amniotic fluid was normal. There was no other structural defects nor any markers for chromosomal abnormalities. 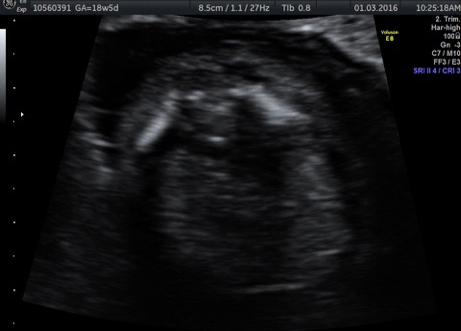 The couple was explained that cutaneous stigmata(like hairy patch, capillary hemangioma could be seen in 30% of the neonates and is not identifiable on ultrasonography antenatally. 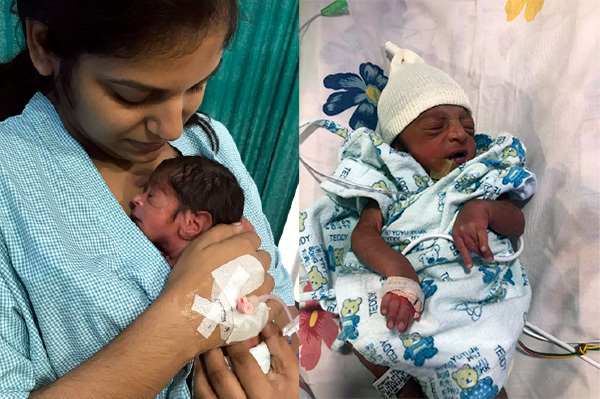 They were explained that diastometomelia is a treatable condition but the baby may require postnatal neurosurgery after birth. 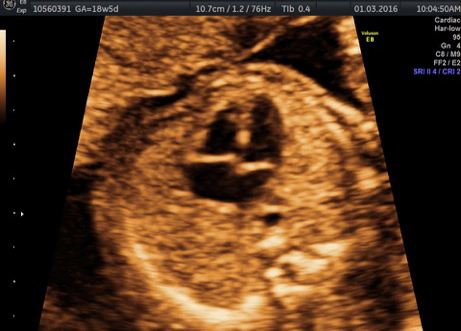 The couple decided to continue with the pregnancy and had a follow up with us at 32 weeks. 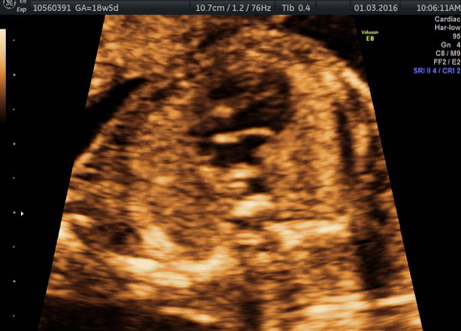 The fetal growth and Dopplers were normal. 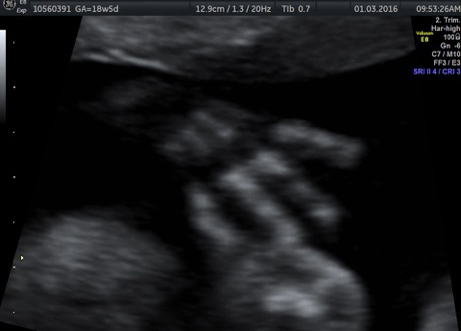 Good fetal movements were perceived by the mother and were seen on the scan as well. 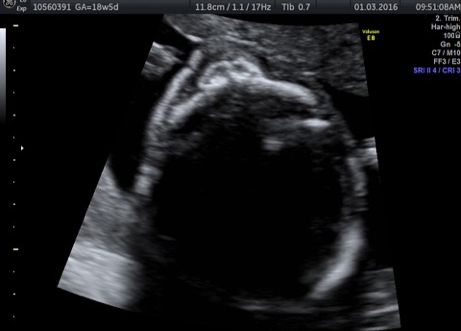 The woman had an emergency caesarean section at her local hospital at 38 weeks in view of preterm rupture of membranes followed by non reassuring fetal heart rate pattern. The baby weight was 2kg with an APGAR score of 9,9. 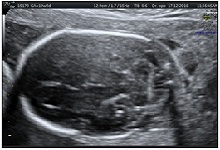 Post natal MRI showed cord tethering and the baby was planned for surgery at 6 month. 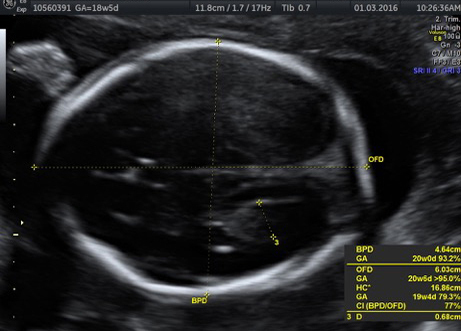 However, a repeat MRI at 4 months showed the diagnosis of Diatometomelia type 2(milder form) and the baby was decided to be kept on conservative management. The baby at 6 months of age is doing well. Diastematomyelia is a rare congenital anomaly that results in a longitudinal split of the spinal cord. There are two types of disease entity knwon. Type 1 and Type 2. In type I, the two hemicords are typically separated by a fibrous, cartilaginous, or osseous septum and reside in two separate dural tubes (Figure 7). 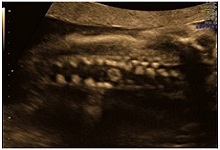 Whereas, in Type II split cord malformations both the hemicords lie withina single, non-duplicated, dural tube. The two hemicords typically reunitecaudally, though two coni medullarae may be seenin diplomyelia, an embryologically distinct entity.Diastematomyelia is typically associated with vertebralsegmental anomalies. 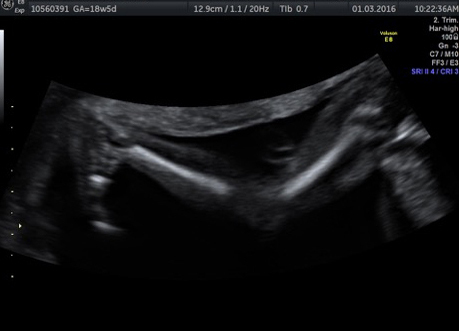 Prenatal Diagnosis: Diastometomelia may go unnoticed by an unexperiened but the presence of an echogenic structure extending from the posterior elements to the posterior aspect of a vertebral body, has high specificity for diastematomyelia[5, 6,]. One third of the patients have an associated spinal dysraphism. The disease has a better prognosis when isolated. So care should be taken to rule out other neural tube defects. 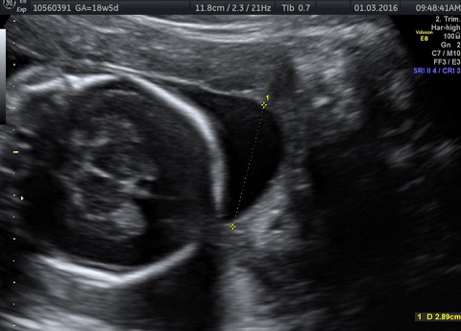 Prenatal MRI can be used to confirm the diagnosis of diastometomelia and to rule out other structural defects in the fetus. 2.Pang D, Dias MS, Ahab-Barmada M. Split cord malformation: Part I: A unified theory of embryogenesis for double spinal cord malformations Neurosurgery 1992; 31: 451-480. 3.Cheng B, Li FT, Lin L. Diastematomyelia: a retrospective review of 138 patients. J Bone Joint Surg Br 2012; 94: 365-372. 4.Cheng B, Wang SK, Sun ZC, et al. Analysis of 46 cases of diastematomyelia. Chin J Orthop1996; 16: 97–100. 5.Blondiaux E, Katorza E, Rosenblatt J, Nahama-Allouche C, Lenoir M, le Pointe HD, Garel C. Prenatal US evaluation of the spinal cord using high frequency linear transducers. Pediatr Radiol 2011; 41: 374-383. 6.Glenn OA, Barkovich J. 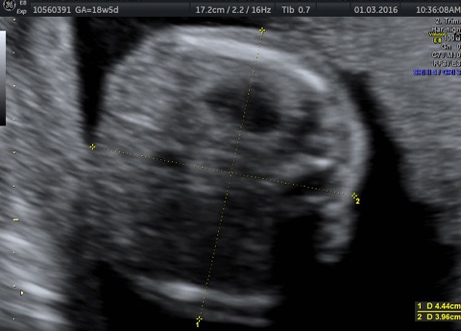 Magnetic resonance imaging of the fetal brain and spine: an increasingly important tool in prenatal diagnosis: part 2. AJNR Am J Neuroradiol 2006; 27: 1807-1814. Note: Registration for Practical exam on 7th April is now closed. Please register if you are interested in the Theory course only. 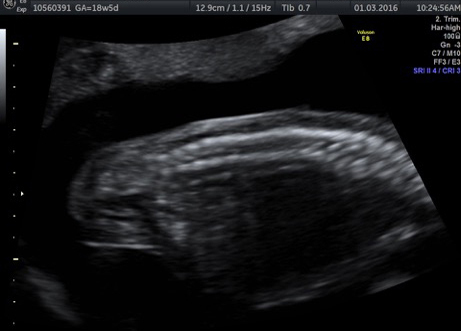 Please Note : The practical examination(max 30 candidates for practicals on 7th April) will be held for those who have already submitted the log book of images to FMF – UK and images have been approved(please contact us or visit www.fetalmedicine.org/fmf-certification/certificates-of-competence/fetal-abnormalities-1 or Click Here for details on submission of images). The theory course will be held on 8th April,2018. I. Registration with PNDT appropriate authority (South East District, Saket, Delhi) at least 30 days in advance of the date of practical examination (7th April 2018). Ques 2. Who are eligible to appear for practical examination on 7th April 2018? 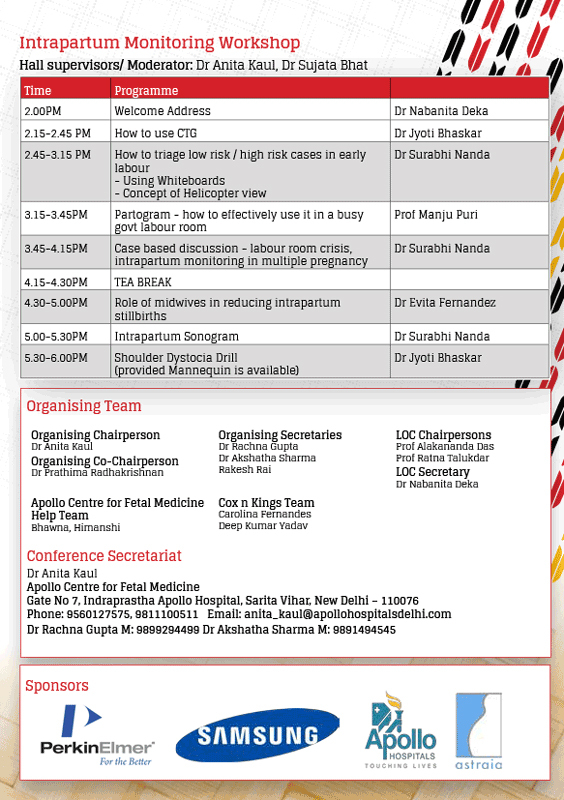 Doctors whose images have been approved by FMF-UK before 21th March, 2018 and providedthe requisite documents and affidavitfor PCPNDT registration are sent beforehand to Apollo Centre for Fetal Medicine by 7th March 2018. 2018, there will be no separate registration fee for same. Ques 5. Will there be repeat theory course in year 2018? Ques 6. Will there be repeat theory course/ practical in the year 2019 or later? All those finalized for the practical exam (subject to PCPNDT approval) will be informed about their schedule for the practical exam by 21th March,2018.